Soybeans and Corn: These commodities hauled in will have 30 days from the time of unload to be sold or put on the DP Program. There wil not be any DP charges applied if sold within the allowed 30 days. This will be on a per ticket basis-no averaging of days and each ticket stand alone. Any commodities not priced at the end of the 30 day period will be placed on a Delayed Price Contract. 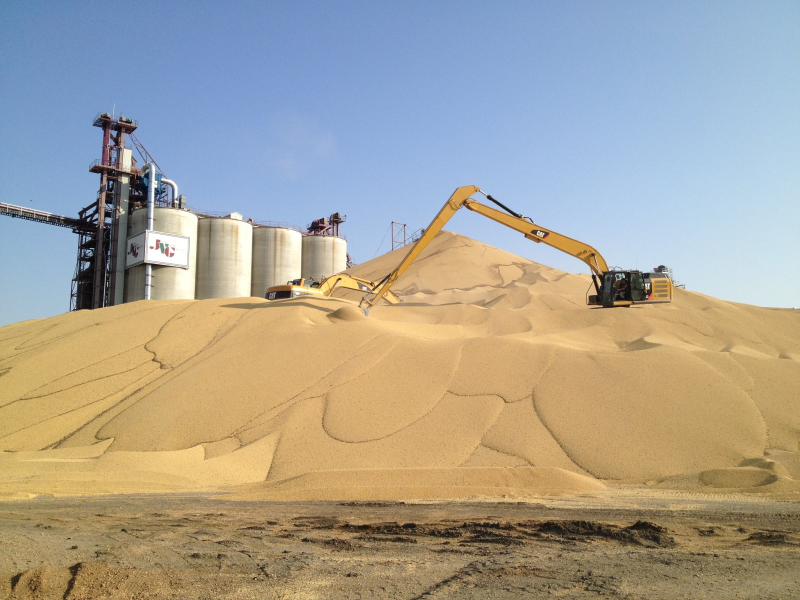 All Wheat: These commodities hauled in will have 15 days from the time of unload to be sold or put on the DP Program. There wil not be any DP charges applied if sold within the allowed 15 days. This will be on a per ticket basis-no averaging of days and each ticket stand alone. Any commodities not priced at the end of the 15 day period will be placed on a Delayed Price Contract. James Valley Grain will not take delivery of corn containing Durcade traits developed by Syngenta. If testing is required for unacceptable GMO varieties, all costs will be passed onto the producer. Please call if you have any questions. Thanks! ** The DP Programs are subject to elevator space and may be discontinued at any time. As per JVG policy, DP contracts can NOT apply to future delivery contracts. As of 09/01/18 we will be charging $.05/Bu for wheat, $0.05/bu for corn and $0.08/bu for bean contracts for 2019 Crop. It is nonrefundable and will be taken off the Futures Price at time of contract.